Forgiveness is strong medicine for this. When life hits us hard, there isnothing as effective as forgiveness for healing deep wounds. I would not have spent the last 30 years of my life studying forgiveness if I were not convinced of this. Sometimes pride and power can weaken your efforts to forgive by making you feel entitled and inflated, so that you hang onto your resentment as a noble cause. Try to catch yourself when you are acting from that place, and choose forgiveness or mercy, instead. 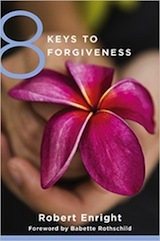 If you need inspiration, it can help to seek out stories of mercy in the world by going to the International Forgiveness Institute website: www.internationalforgiveness.com. It’s important to figure out who has hurt you and how. This may seem obvious; but not every action that causes you suffering is unjust. For example, you don’t need to forgive your child or your spouse for being imperfect, even if their imperfections are inconvenient for you. To become clearer, you can look carefully at the people in your life—your parents, siblings, peers, spouse, coworkers, children, and even yourself—and rate how much they have hurt you. Perhaps they have exercised power over you or withheld love; or maybe they have physically harmed you. These hurts have contributed to your inner pain and need to be acknowledged. 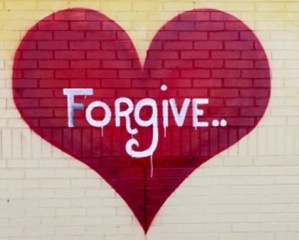 Doing this will give you an idea of who needs forgiveness in your life and provide a place to start. There are many forms of emotional pain; but the common forms are anxiety, depression, unhealthy anger, lack of trust, self-loathing or low self-esteem, an overall negative worldview, and a lack of confidence in one’s ability to change. All of these harms can be addressed by forgiveness; so it’s important to identify the kind of pain you are suffering from and to acknowledge it. The more hurt you have incurred, the more important it is to forgive, at least for the purpose of experiencing emotional healing. You may be able to do this accounting on your own, or you may need the help of a therapist. However you approach looking at your pain be sure you do it in an environment that feels safe and supportive. Scientists have studied what happens in the brain when we think about forgiving and have discovered that, when people successfully imagine forgiving someone (in a hypothetical situation), they show increased activity in the neural circuits responsible for empathy. This tells us that empathy is connected to forgiveness and is an important step in the process. If you examine some of the details in the life of the person who harmed you, you can often see more clearly what wounds he carries and start to develop empathy for him. 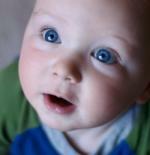 First, try to imagine him as an innocent child, needing love and support. Did he get that from the parents? Research has shown that if an infant does not receive attention and love from primary caregivers, then he will have a weak attachment, which can damage trust. It may prevent him from ever getting close to others and set a trajectory of loneliness and conflict for the rest of his life. You may be able to put an entire narrative together for the person who hurt you—from early child through adulthood—or just imagine it from what you know. You may be able to see her physical frailties and psychological suffering, and begin to understand the common humanity that you share. You may recognize her as a vulnerable person who was wounded and wounded you in return. Despite what she may have done to hurt you, you realize that she did not deserve to suffer, either. 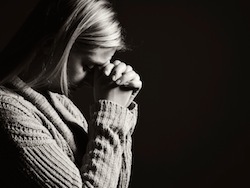 Recognizing that we all carry wounds in our hearts can help open the door to forgiveness. When we suffer a great deal, it is important that we find meaning in what we have endured. Without seeing meaning, a person can lose a sense of purpose, which can lead to hopelessness and a despairing conclusion that there is no meaning to life itself. That doesn’t mean we look for suffering in order to grow or try to find goodness in another’s bad actions. Instead, we try to see how our suffering has changed us in a positive way. Even as one suffers, it’s possible to develop short-term and sometimes long-range goals in life. Some people begin to think about how they can use their suffering to cope, because they’ve become more resilient or brave. They may also realize that their suffering has altered their perspective regarding what is important in life, changing their long-range goals for themselves. To find meaning is not to diminish your pain or to say, I’ll just make the best of it or All things happen for a reason. You must always take care to address the woundedness in yourself and to recognize the injustice of the experience, or forgiveness will be shallow. Still, there are many ways to find meaning in our suffering. Some may choose to focus more on the beauty of the world or decide to give service to others in need. Some may find meaning by speaking their truth or by strengthening their inner resolve. If I were to give one answer, it would be that we should use our suffering to become more loving and to pass that love onto others. 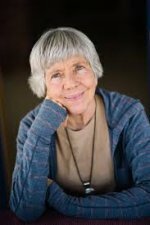 Finding meaning, in and of itself, is helpful for finding direction in forgiveness. Forgiveness is always hard when we are dealing with deep injustices from others. I have known people who refuse to use the word forgiveness because it just makes them so angry. That’s OK—we all have our own timelines for when we can be merciful. But if you want to forgive and are finding it hard, it might help to call upon other resources. First remember that if you are struggling with forgiveness, that doesn’t mean you’re a failure at forgiveness. Forgiveness is a process that takes time, patience, and determination. Try not to be harsh on yourself, but be gentle and foster a sense of quiet within, an inner acceptance of yourself. Try to respond to yourself as you would to someone whom you love deeply. Surround yourself with good and wise people who support you and who have the patience to allow you time to heal in your own way. Also, practice humility—not in the sense of putting yourself down, but in realizing that we are all capable of imperfection and suffering. Try to develop courage and patience in yourself to help you in the journey. Also, if you practice bearing small slights against you without lashing out, you give a gift to everyone—not only to the other person, but to everyone whom that person may harm in the future because of your anger. You can help end the cycle of inflicting pain on others. If you are still finding it hard to forgive, you can choose to practice with someone who is easier to forgive—maybe someone who hurt you in a small way, rather than deeply. Alternatively, it can be better to focus on forgiving the person who is at the root of your pain—maybe a parent who was abusive, or a spouse who betrayed you. If this initial hurt impacts other parts of your life and other relationships, it may be necessary to start there. Most of us tend to be harder on ourselves than we are on others and we struggle to love ourselves. If you are not feeling lovable because of actions you’ve taken, you may need to work on self-forgiveness and offer to yourself what you offer to others who have hurt you: a sense of inherent worth, despite your actions. In self-forgiveness, you honor yourself as a person, even if you are imperfect. If you’ve broken your personal standards in a serious way, there is a danger of sliding into self-loathing. When this happens, you may not take good care of yourself—you might overeat or oversleep or start smoking or engage in other forms of “self-punishment.” You need to recognize this and move toward self-compassion. Soften your heart toward yourself. After you have been able to self-forgive, you will also need to engage in seeking forgiveness from others whom you’ve harmed and right the wrongs as best as you can. It’s important to be prepared for the possibility that the other person may not be ready to forgive you and to practice patience and humility. But, a sincere apology, free of conditions and expectations, will go a long way toward your receiving forgiveness in the end. When we overcome suffering, we gain a more mature understanding of what it means to be humble, courageous, and loving in the world. We may be moved to create an atmosphere of forgiveness in our homes and workplaces, to help others who’ve been harmed overcome their suffering, or to protect our communities from a cycle of hatred and violence. All of these choices can lighten the heart and bring joy to one’s life. Some people may believe that love for another who’s harmed you is not possible. But, I’ve found that many people who forgive eventually find a way to open their hearts. If you shed bitterness and put love in its place, and then repeat this with many, many other people, you become freed to love more widely and deeply. This kind of transformation can create a legacy of love that will live on long after you’re gone.